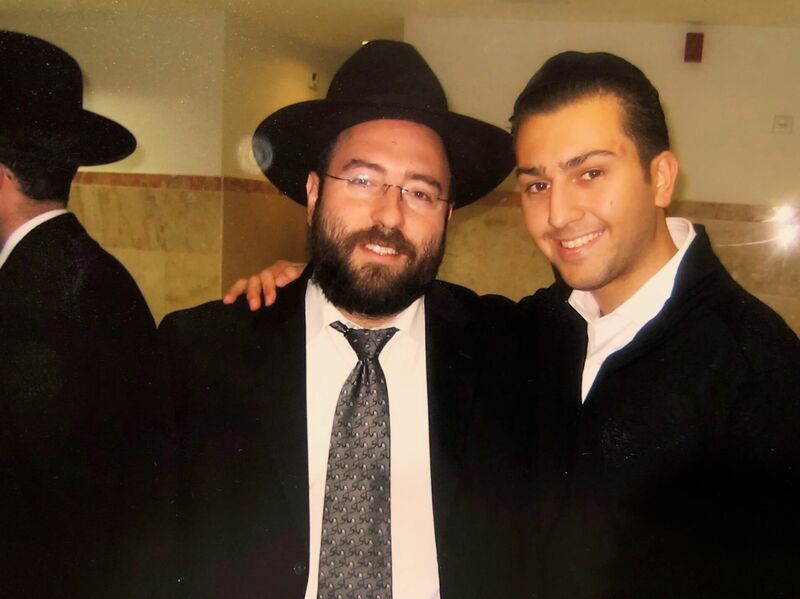 Moshe Soudry was one of Lev Ahron’s original students when it opened back in 2005. Hailing from Brooklyn, he studied in Derech HaTorah for elementary school and in Shaare Torah for high school. For the past 11 years, Moshe has been working in sales & merchandising for Studio Ray, a New York based apparel company. He presently lives in Flatbush with his wife and five wonderful children. How did you find Lev Aharon? ‍I heard about Lev Aharon through the Rabbis & principals at Shaare Torah. Also, Rabbi Laniado was actually a neighbor of ours growing up in Brooklyn on 27th street & L, so there was a strong family relationship. I felt that it was a great opportunity to grow & learn while living in Eretz Yisrael before I started college. I was zocheh to be part of the 1st year of the Yeshiva. What were some of the things you enjoyed while in the Yeshiva? Building a relationship with all the amazing Rabbis who guided me was a wonderful experience. It helped me establish a strong foundation in Torah, so that I could start my life heading in a positive direction. Experiencing all the trips we took in Eretz Yisrael was also amazing. Was there something that you learned in Lev Aharon that made a deep impression and has stayed with you throughout your life? All the Rabbis in the Yeshiva had a chelek in my growth. But, if I had to pick one specific experience that shaped me and pushed me to the next level it was a conversation that I had with Rabbi Nissim Salem. I had a fear of continuing a certain relationship when I would return to Brooklyn at the end of the year. Spiritually, she was growing very fast. She had been learning in seminary and was very tzniut and wanted to wear a wig. At the time, I wasn’t holding on that level. I was still wearing jeans and enjoyed going out with the boys and having fun. Towards the end of my year, I remember walking with Rabbi Salem down Rechov Hakablan to his bus stop and discussing my fear of marrying an ultra-religious girl. He addressed every concern that I had and; I couldn’t deny that it made all the sense in the world. I was able to understand why the Torah instituted these standards and, Baruch Hashem, when I got back to New York, I dated her and we got married 6 months later. Was there something that you experienced in Lev Aharon that you’ve never seen anywhere else? I honestly believe that the secret recipe of success that Lev Aharon has is the love and warmth that they give every student, regardless of their backgrounds and situations. The Rabbi’s there recognize that hidden in every neshama is a spark awaiting to be ignited. Although the challenges that I faced 12 years ago are different than the challenges of 2018, I know that the effects of Lev Aharon’s trademark, love & warmth, won’t change. Just look at the hundreds of students that they continue to inspire by igniting that hidden spark until it burst into a flaming torch that will guide them for life.